Anyone having an event with kids involved will want to have this machine. It is easy to use and is as much fun to make as it is to eat. This is one of our favorites because it gives kids the feeling they're at a real old fashioned carnival. 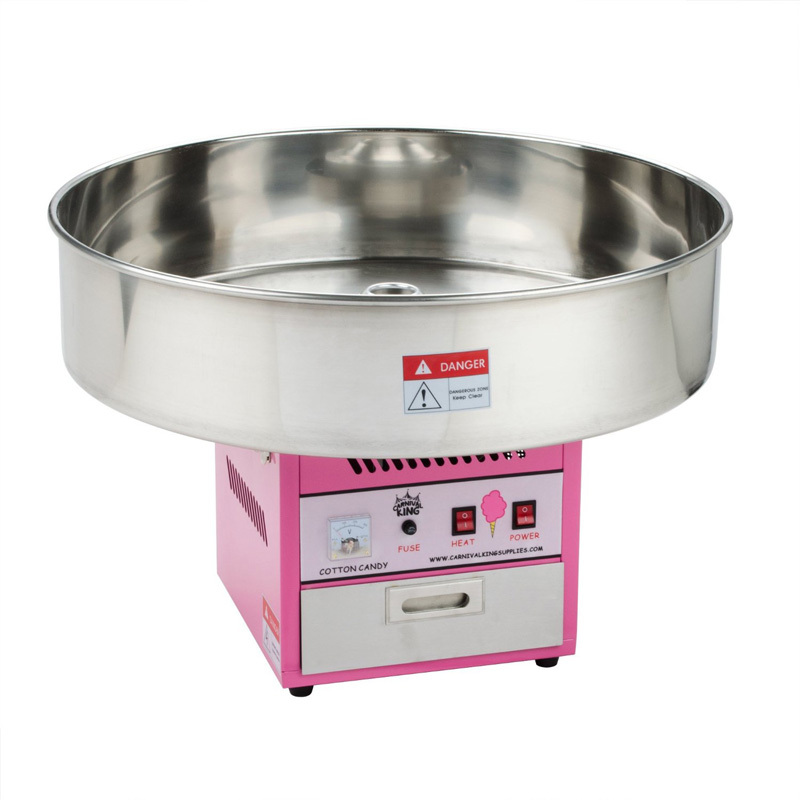 Rent a top quality cotton candy machine for your next party. These are the same cotton candy machines you see at fairs or carnivals. Our cotton candy machine makes 4 servings per minute and over 100 oz. of Cotton Candy per hour. In an instant you can be serving cotton candy to the whole crowd, young and old. Rental includes 1 container of cotton candy sugar floss and 50 cotton candy cones, enough to make 50 servings! Choose from either Pink Vanilla or Blue Raspberry. Each additional 50 servings only $20.00 This unit should be plugged in to it's own 15amp circuit and be used with no more than 25' of extension cord of at least 12 gauge.